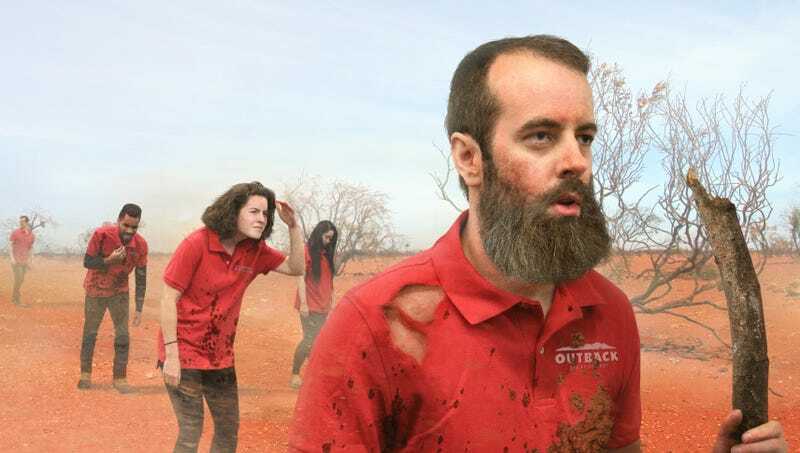 NULLARBOR PLAIN, AUSTRALIA—Having completed the ritualistic journey from inexperienced trainees to enlightened servers, hostesses, and line cooks, employees at Outback Steakhouse reportedly returned from their mandatory six-month walkabout in the Australian wilderness Thursday. “This rite of passage, in which participants spend half a year traversing the arid bush and salt pans of Australia’s vast, remote heartland, is required of all trainees before they take on any shifts to ensure they are spiritually in tune with the bold flavors and signature dishes that keep our customers coming back,” said Outback CEO Elizabeth Smith of the miles-long journey that forces those undertaking it to learn the skills necessary to make a Bloomin’ Onion or Kiwi ’Rita while having to live off the land and protect themselves from the harsh climate and dangerous wildlife of the continent’s interior tundra. “Of the 80 who were sent out into the sand plains of the subtropical savannah with nothing but their uniforms and a pair of tongs, 17 unfortunately didn’t make it back due to starvation, dehydration, and snake bites; however, 53 successfully returned, having formed a powerful awareness of our famous Aussie-tizers and Joey Menu. These employees left without the slightest clue about the selection of meats we grill on the barbie, but after spending hours under the blistering sun in the dune fields without a map or compass, they have returned and made the healing transition to fully matured members of the Outback team.” Smith went on to say that, despite their achievements, half of the employees who completed the journey later failed to pass the mandatory drug test.